Here, as the saying goes, is where the plot thickens. We can begin with the purchase of the land itself, the price for which is the result of purchase negotiations. In complex joint ventures, the land owner may become a partner in the project and enjoy a share in the project's profits, or take a percentage of sales. On the other hand, a straight sale for a fixed price is a simpler deal and doesn't depend on the developer's performance. In our case study, the land purchase is a simple cash deal with the land price calculated at $50,000 per home or $2,500,000 total. As with any real estate purchase, there are likely to be broker and legal fees, closing costs, and taxes. For our example, we'll assume these items will add $75,000 to the deal. Under Project Costs in Figure 1, Land Acquisition is shown as costing $2,575,000. 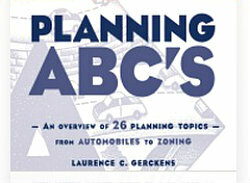 There is then the part of the development process that is the most visible to members of planning commissions. This is the planning and approval stage where conceptual plans for the project are initially created, and quite likely refined and revised in greater levels of detail as more becomes known about the site. During this stage, the developer will engage the services of surveyors, planners, architects, civil engineers, as well as specialists such as environmental and traffic engineers. All of this information must be assembled and used to create a workable and marketable plan for the project, which must then be submitted with supporting documentation to the local planning department. If additional information or revisions to the plan are called for, the services of these professionals may have to be extended. 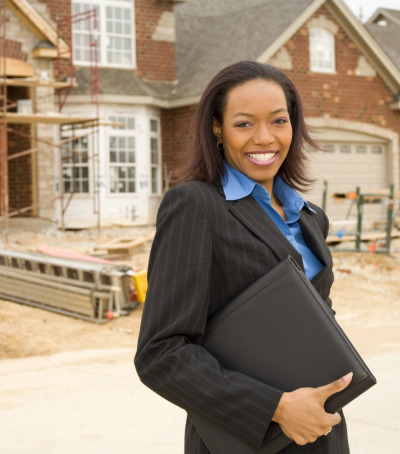 For larger projects, developers are also likely to employ the services of a lawyer who specializes in land use approval procedures. In addition, there are filing and application fees charged by the local government. All of these costs can mount up to a significant amount of money. For our case study, Figure 1, we have estimated Planning, Design & Approvals at $600,000, but depending on how the approval procedures unfold, actual costs could easily vary from this estimate . So far in our project, we have budgeted over three million dollars, and nothing has yet been built. 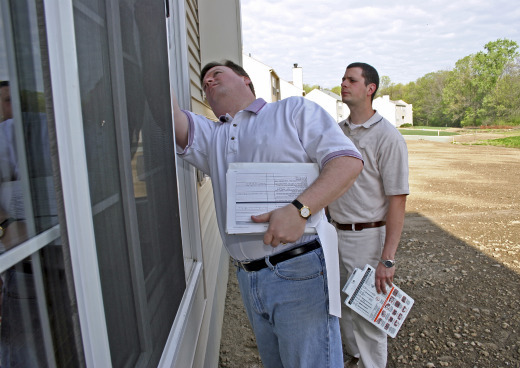 Estimating physical construction costs is the next step. Physical construction costs associated with the land include rough grading and clearing, constructing roads and utilities, as well as drainage and environmental protection features. 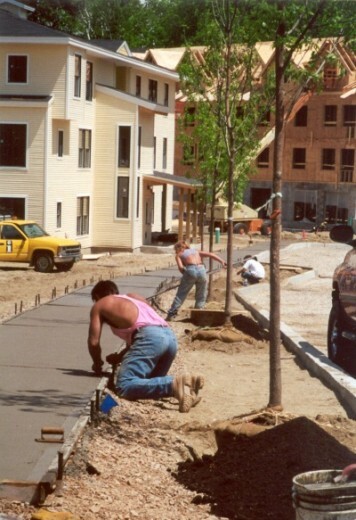 Project site work costs are highly variable, and depend on the unique conditions of each site. These costs are typically estimated with the use of sophisticated computer programs that calculate the volume of earth to be moved, lengths of roads and utility lines to be built, and other site engineering improvements that will be needed. For our case study, we are assuming site work costs of $2,850,000. We next estimate the cost of constructing the buildings. Architects, engineers, and construction managers can base their estimates on detailed histories about what similar projects have cost to build. 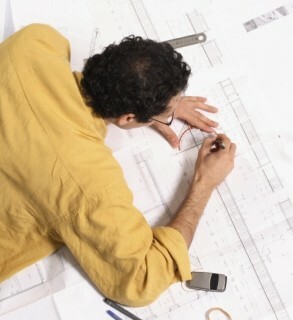 For larger, more complex projects, a cost estimator (an individual analyst or even a professional estimating service) may be engaged, using specialized computer programs that calculate the precise quantities of wall siding, windows, tons of concrete, lengths of pipe and wiring, numbers of plumbing fixtures, and every other item called for in the project plans. Developers, however, also have their experience from recent and current projects that can be summarized as a total, inclusive cost per square foot (or cost per unit). They will rely on the sophisticated costing analyses described in the preceding paragraph to verify this cost per square foot number, and to flag anything that might be different about this project. 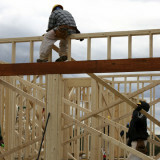 In our example, we will assume a value of $65.00 per square foot for the base construction cost. 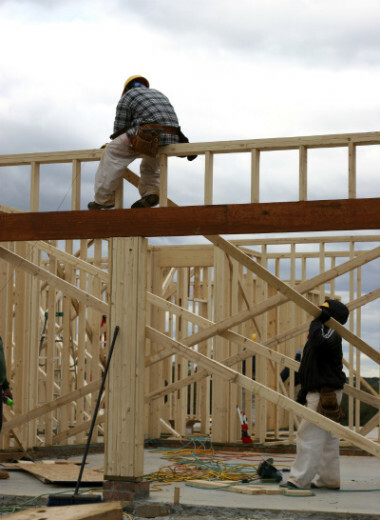 After adding in costs for providing homebuyers' upgrades, selections, and options, the total costs for building the homes themselves are estimated as $8.0 million. In addition to the site engineering costs described earlier, there are also indirect costs and finishing costs that are incurred when the home is nearing completion. 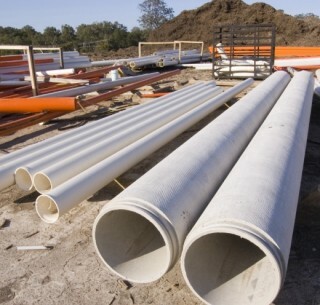 These costs can include such things as permit and inspection fees, final grading, landscaping, drives and walks, and hooking up water and sewer lines. Like other site costs, these costs are estimated in detail by site engineers, based on the unique characteristics of each site. 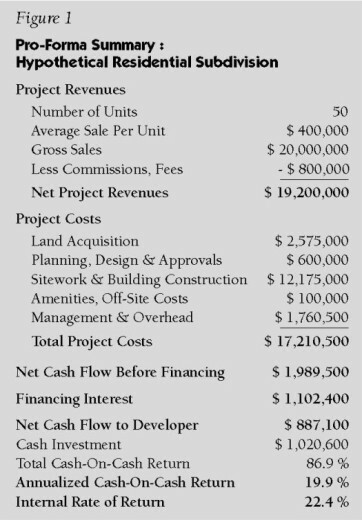 With all of these costs combined, the total of Sitework and Building Construction costs for our case study project is estimated at $12,175,000, as seen in Figure 1. A couple of observations are noteworthy before moving on. Earlier, we estimated the costs to actually build the homes to be $8 million. This is to say, the base "bricks and sticks" cost to build the homes in our project is only about two-thirds of the total physical construction costs for this project -- and less than half of what we will eventually estimate as to the total project costs. If you are not familiar with development economics, you may be surprised to learn that the costs of building construction are often less than half of what it costs to complete a development project. Note also that the combined total of Land Acquisition, Planning Design, & Approvals and Sitework in our project is estimated at just over $6 million. This indicates that the costs just to acquire, enable, and prepare the site are expected to cost roughly two-thirds what it will cost to construct all the units. While the ratios just mentioned can vary widely from project to project and are not meant to be regarded as a standard, they do fall within the range of costs typically encountered in many development projects. There are still more costs to be estimated. Projects frequently have features that do not directly generate sales or rents, but are needed for the project to be attractive. In commercial projects, these might include plazas, fountains, or other public space amenities. In large residential subdivisions, such facilities might include clubhouses, activity centers, pools, and even golf courses. Our example project, with only 50 units, will initially budget for more modest amenities including playgrounds and a system of walking trails, for a total cost of $100,000. For some projects, the developer is asked to pay for improvements that are not actually part of the site. Such improvements might be needed to ease traffic at a nearby intersection, enhance a sewage treatment plant, or enlarge a water main. No such off-site costs are included in our base scenario, but we will look at how costs for amenities and off-site improvements affect profitability later as we look at alternative scenarios. And the costs keep on coming. At this point, we come to a group of costs that can be categorized as Management & Overhead. A large, multi-project builder will have production managers, site supervisors, sales managers, and sales and clerical staff on the payroll. Many of these people will move from project to project as communities sell out and new ones open. 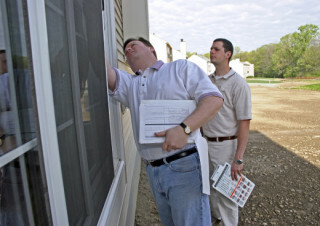 Some supervisory staff may be overseeing more than one project, allocating their time between the different jobs. There are also additional services and expenses -- everything from providing temporary toilets, to relocating and refurbishing sales and construction office trailers, to printing sales brochures and placing advertisements. Costs of this nature tend to be a combination of: (1) fixed lump sums (i.e. the cost for a site model or sales display), and (2) expenses that continue as long as the project is under development (i.e. utility costs, supervisory staff). Of particular note is that this second category includes items that are time-sensitive. For example, the longer the project takes to complete, the longer on-site staff and services will be needed (and their costs incurred). This can happen if, for example, the market slows down and the development takes longer to sell out. Another form of Overhead that occurs with larger, multi-project builders is referred to as "corporate overhead." This is the allocation of central corporate costs (administration, office expenses, and central administrative services) among the various projects underway. Every builder deals with the concept of corporate overhead in a unique way that suits its respective administrative and accounting requirements. In our case study, we'll assume that corporate overhead is calculated as a fixed percentage of sales. In Figure 1, you'll see that for our project we have estimated Management & Overhead (including corporate overhead) at $1,760,500. We can now estimate what it will cost to build our proposed project. 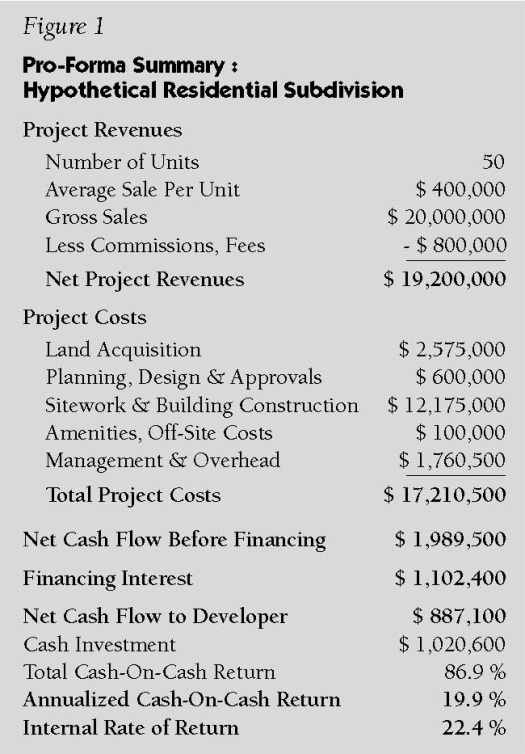 As seen in Figure 1, the total of Land Acquisition, Planning Design, & Approvals, Site Work & Building Construction, Amenities & Off-Site Costs, and Management & Overhead, is indicated as Total Project Costs, at $17.2 million. In the next section, how the proforma is used to determine how much money the project will make for the developer.